Scholarships may be designated to honor a loved one, current or former Whitmore Lake community member, or a business. Donations may also be designated in support of one of the existing scholarships, including those listed below. If you would like to sponsor a scholarship, please contact the Whitmore Lake Community scholarship Fund Board at WLcommunityscholarship@gmail.com. ​Bonnie was a valued member of the Whitmore Lake Community who is fondly remembered for her countless hours volunteering in our community. Many people and organizations benefitted from her time including Whitmore Lake Public Schools, the Dramatic Arts and the Whitmore Lake Community Scholarship Fund where she served as a member of the Board. The VonVoigtlander Family Foundation's stated mission is to make the world a better place by being part of the building and strengthening of those in need of assistance. The Foundation sponsors an annual scholarship in support of a young person going into The Trades. RheTech LLC is a Whitmore Lake based company who sponsors a full $1,000 scholarship each year. The company has been in business for over 50 years and strongly believes in giving back to the local community through supporting scholarships and education in our Whitmore Lake community. RheTech Vice President Jim Preston is a member of the Whitmore Lake Community Scholarship Fund Board and an active member of our community. Sue Johnson was a devoted and valued member of the Whitmore Lake High School community. ​After spending many years volunteering in the elementary, middle, and high school, Sue became the high school library secretary and media technician. ​She also served many years on the Whitmore Lake Community Scholarship Fund Board. Sue's keen sense of technology, understated humor, and quiet way of supporting the needs of WLHS students and staff was greatly appreciated by all. For 27 years Donna taught elementary students in the Whitmore Lake Public Schools. She enjoyed her work there, and is fondly remembered by many of her former students who still kept in touch even though decades have passed since they were in her classroom. One of those students sent this message when he learned she had died: "While she may have left us today, she will always remain with all of us who loved and had our lives touched by her. To this day, I remember the poems she taught me as a child, and keep close to my heart a love and appreciation for words that was nurtured in her small classroom at Spencer Elementary. I know that I would not be where I am today without her guidance and her opening of a new world for me. I will miss her greatly." ​Anna Belle was an amazing person who married young, had children, put herself through school and became a teacher. ​She worked at Whitmore Lake High School for 34 years as a teacher and then a guidance counselor. Anna Belle loved working with her "kids" at Whitmore Lake, even when those kids became the parents of the kids she was currently working with. ​The Whitmore Lake family was an extension of her own family. She loved her time there and the people that she worked with. Anna Belle left a legacy of love that will not be forgotten by anyone whose life she touched. Larry Steeb is remembered by many Whitmore Lake alumni, staff and members of the community as one of the truly great teachers to have walked the halls of WLPS. 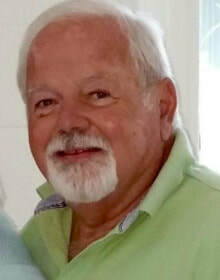 A teacher and coach for 35 years, he retired from Whitmore Lake Public Schools in 2006, shortly before his passing in February 2007. Those who took his classes remember a fiercely dedicated teacher who told the stories of history, economics and government that had lessons for today, and his mischievous grin followed by startling consequences for anyone who fell asleep in his class. ​Mr. 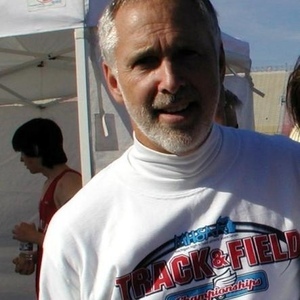 Steeb was also a legendary track and cross country coach, with generations of successful Whitmore Lake athletes telling stories of it being "a great day to be young and alive." He cared deeply about his students, athletes and colleagues, and gave the attention, hard work, discipline and respect that he asked from students, his teams and colleagues. ​James B. Monroe moved to Whitmore Lake in March of 1988. He was in fifth grade at the time. He was a wonderful young man who developed into a friendly, helpful, goofy guy. He had a little sister 11 years his junior that he adored. Jimmy had a great sense of humor and was helpful in mentoring new students when they came to Whitmore Lake. He loved video games, Detroit Piston basketball, Chicago White Sox baseball and much to his mother’s chagrin, Michigan State. His death, from an auto accident, just before starting his Junior year in High School left a tremendous void in his mother’s heart. However, the class of 1996 were gracious enough to allow her to participate in float building, chaperoning dances, and assisting with the Senior all night party. The class of 1996 even dedicated the senior slideshow at their commencement to him! Jimmy’s mom, Carol, attempts to pay back a small part of the love and support the community showed her with these two scholarships in his memory. Julianna M. Brown was a strong believer in education. She is fondly remembered by her niece Laura Schwenssen and her family who award two scholarships in Aunt Julianna's memory each year. ​Jessica LaForest, MD graduated from Whitmore Lake High School in 1998. ​She attended Eastern Michigan University where she earned a Bachelor of Science in Biology and Honor’s Degrees in both Biology and General Studies in 2002. She then went on to receive her Doctor of Medicine Degree from Wayne State University School of Medicine in 2006. Jessica then completed her residency in Obstetrics and Gynecology at The University Hospital, an affiliate of The University of Cincinnati Medical School, in 2010. After graduation, she returned to Michigan and took a position at Memorial Healthcare in Owosso, Michigan. She is currently the Chairperson for the Department of Obstetrics and Gynecology and has recently joined a private practice group in Owosso. As a past recipient of the community scholarship, she is wishing to aid other students on their scholastic journey into the exciting field of science! Glenn Robert Bachman was a well loved Superintendent of Whitmore Lake Public Schools for many years. He is remembered as an effective administrator who hired many very effective school teachers and staff who still are with Whitmore Lake Schools today. Glenn was a kind and thoughtful leader of our school district, who remains fondly remembered by people across the Whitmore Lake Community.